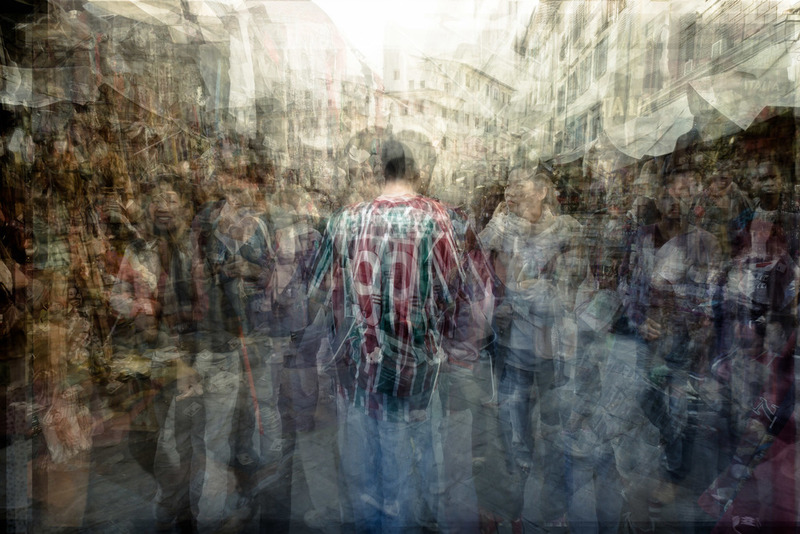 We are very pleased to feature another series by Riccardo Magherini on The Artbo. Threads pulled from the memory carpet. 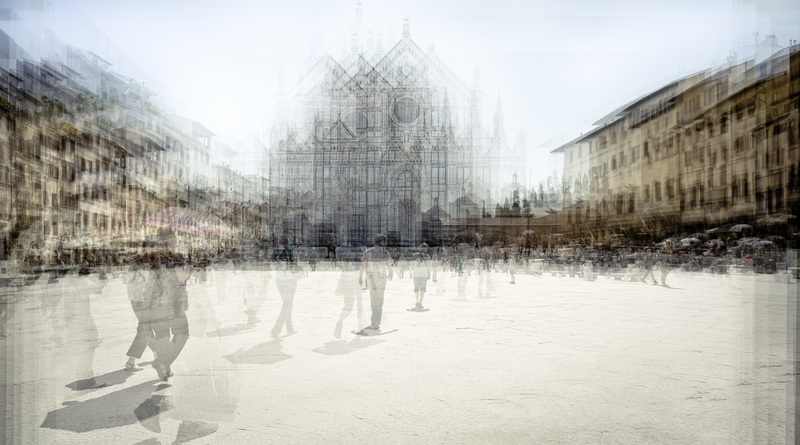 The Firenze series is mostly about a ‘layering of memories’ process. Pictures are collected through time; hours, days, sometimes seasons, forming threads. Every image of the series is a carpet, an "arazzo" made with those threads, the warp and weft of memories and pictures, woven with a Renaissance perspective. 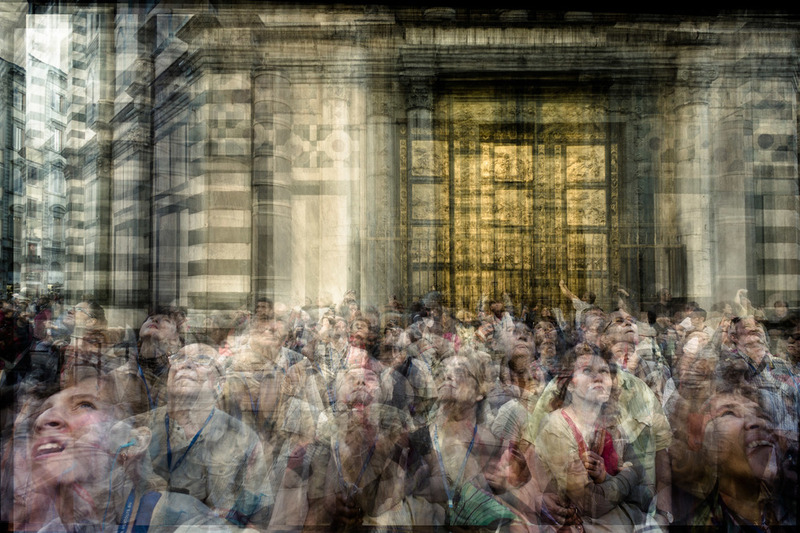 I think I've shot Firenze as a museum, crowded by contemporary people, with their clothes, eyeglasses, backpack, faces. They belong to this time. They walk, sit, eat, talk, live in the now, passing through, directed elsewhere.